Photo: Henry S. Lane House (Lane Place), ca. 1830, 212 South Water Street, Crawfordsville, IN. 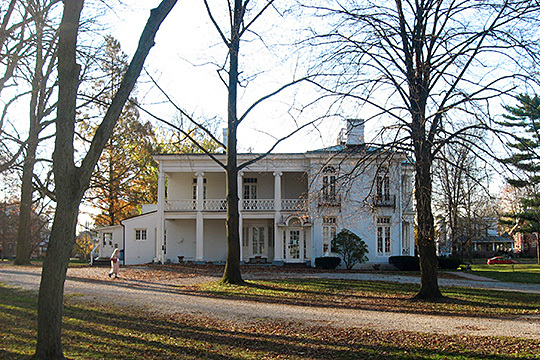 Listed on the National Register of Historic Places in 1830. Photographed by User:Nyttend (own work), 2009, [cc0-by-1.0 (creativecommons.org/publicdomain/zero/1.0/deed.en], via Wikimedia Commons, accessed December, 2014. Montgomery County administrative offices are located at 100 East Main Street, Crawfordsville, IN 47933; phone: 765-364-6430. Established in 1822, Montgomery County is named for Richard Montgomery [1738-1775] who served as a Major General during the Revolutionary War.